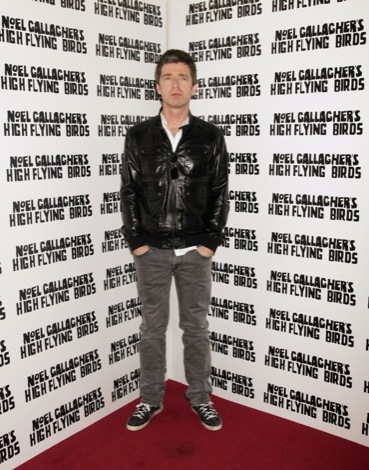 Despite the mixed reviews of his latest album Chasing Yesterday, Getintothis’ Adam Lowerson sees Noel Gallagher at a triumphant homecoming. 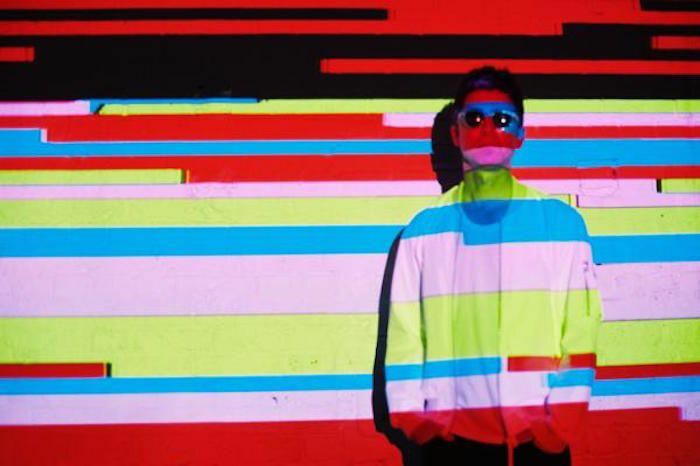 Say it loud, and sing it proud today, Noel Gallagher’s High Flying Birds have hit the number one spot in the album charts with Chasing Yesterday, and celebrated it with a triumphant homecoming at Manchester Arena. It was never in any doubt that the record would sell, but to say the reviews have been mixed would be generous. Pitchfork (no surprises here) described it as succumbing to ‘a palpable joylessness’, while the Guardian said ‘His song remains resolutely the same’. So not exactly a glowing reception. However, critics have been pointing out Gallagher’s lack of versatility since (What’s the Story) Morning Glory?, yet here he is, nine number one albums later, atop the charts again. Much like the reviews, the tracks from Chasing Yesterday on show tonight are somewhat a mixed bag. In The Heat of the Moment is a genuine stomping pop belter and is received as well as any of Gallagher’s classics, while leftover from Definitely Maybe era Oasis, Lock All the Doors, sees the youthful swagger reignited. However, in contrast the acoustic shuffle of Riverman and slow burning ballad The Dying of the Light fall slightly flat and lack the soul that they give off on record. Of course, the night couldn’t go by without the dust being blown off a number of Oasis favourite’s, with usual suspects such as Fade Away and the lighters aloft anthem of Champagne Supernova given a stripped back, acoustic makeover giving the arena the opportunity to drown out Gallagher’s vocals with their own. However, a standout was a rabble rousing rendition of Digsy’s Dinner which packed all the punch of the original Definitely Maybe recording. There’s still a couple of fillers in the set of over 20 songs, mainly from Chasing Yesterday, but what Gallagher has that many don’t is an incomparable back catalogue of stadium anthems, which results in some special moments and a climatic end to the show. Aka…What A Life’s 90s dance sound feels as big a track as any of Gallagher’s most notable hits and is only topped by another Manchester legend in Johnny Marr joining for The Ballad of the Mighty I – his trademark guitar jangle wrapping perfectly around the pulsating rhythms and wandering melody. 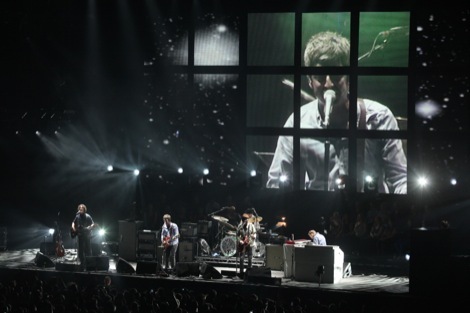 But it’s no surprise that the real special moments come in the shape of The Masterplan, where Gallagher showed off his new brass section and choir, and Don’t Look Back in Anger, bringing the crowd together for one final singalong making for a real feeling of intimacy and togetherness in the arena. A lad sat in front of us even rang his mum, bless. Gallagher has stuck to the same formula now for the majority of his career, no one is disagreeing with that. But for over 20 years now it has proved to be a winning formula, and that is showing no sign of changing anytime soon. We may have to put up with the same chords being recycled, but Gallagher’s ability to fill arenas is unrivalled.